Prominent & Leading Authorized Retail Dealer from Kolkata, we offer pneumatic grease guns and grease gun. Hand-powered, where the grease is forced from the aperture by back-pressure built up by hand cranking the trigger mechanism of the gun, which applies pressure to a spring mechanism behind the lubricant, thus forcing grease through the aperture. 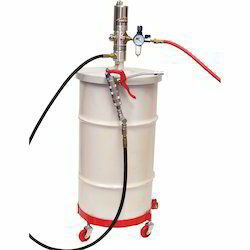 Air-powered (pneumatic), where compressed air is directed to the gun by hoses, the air pressure serving to force the grease through the aperture. 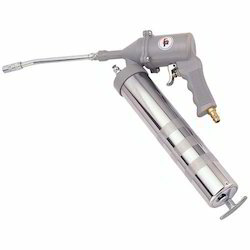 A Grease Gun is a common workshop and garage tool used for lubrication. Grease Guns allow for 100% positive grease-type identification, eliminating the risk of mixing incompatible or unspecified grease. Numerous models available.